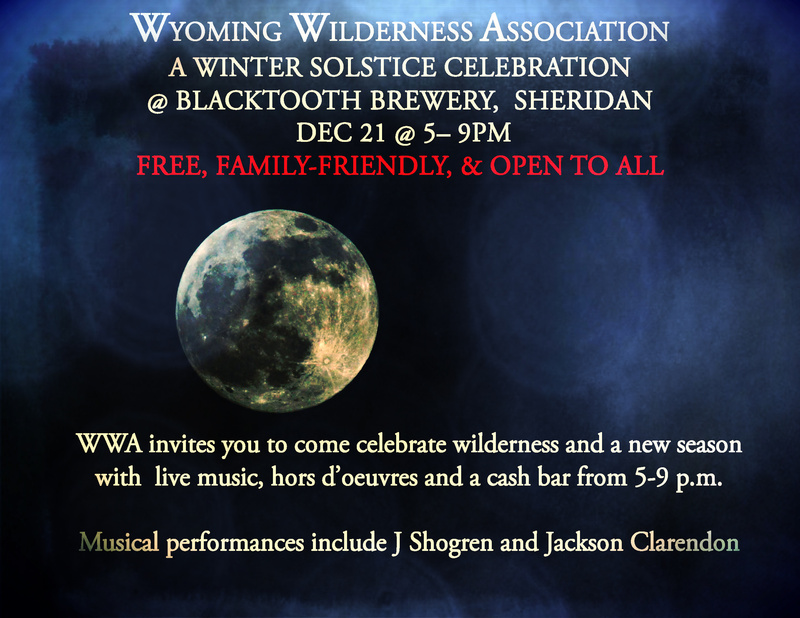 WYO Wilderness Assoc’s Winter Solstice Party Dec 21 Sheridan! The Wyoming Wilderness Association will present A Winter Solstice Celebration on Dec. 21. Celebrating wilderness and a new season at WWA, live music, hors d’oeuvres and a cash bar will be offered from 5-9 p.m. The celebration will take place at Blacktooth Brewery, 312 Broadway St. The event is free, family-friendly and open to all. Musical performances include J. Shogren and Jackson Clarendon. The WWA will welcome new leadership and offer farewells to Liz Howell during the celebration.